Hanoi (VNA) – The People’s Committee of Hanoi will launch the Earth Hour 2017 Campaign in the capital city to raise public awareness of climate change adaptation and energy saving. Themed “Light off to turn on the future”, local residents will be encouraged to turn off unnecessary electric devices from 20:00 - 21:30 p.m on March 25, with a switch-off ceremony scheduled to take place at the August Revolutionary Square. Hanoi will work with the Ministry of Industry and Trade to organise activities to promote the campaign through different events such as cycling, running, competitions on environmental protection and energy saving and volunteering. Organisations, schools, businesses and households will be encouraged to take part in the campaign. 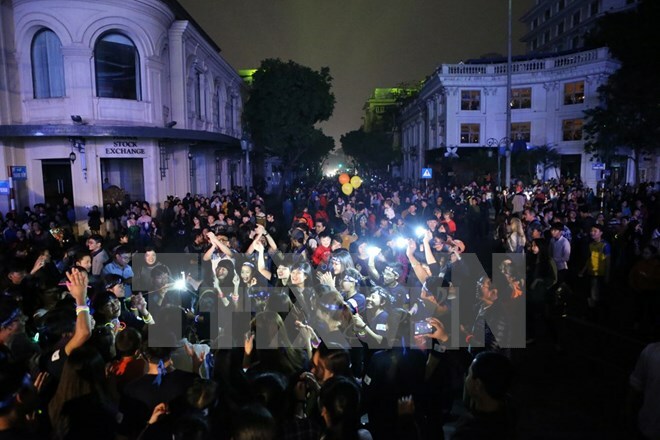 Earth Hour campaign was first launched in Vietnam in 2009. More than 1,000 businesses and organisations across the country have joined the effort.